Leighton Baines' late penalty caught Manchester United cold as Everton secured a morale-boosting draw from a match punctuated by controversy. 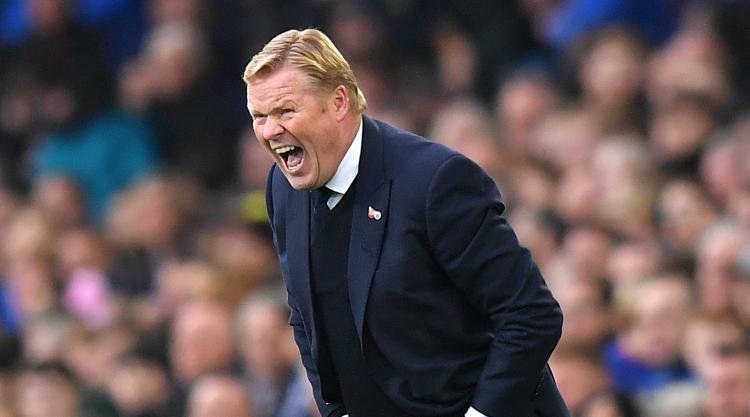 The summer appointments of Ronald Koeman and Jose Mourinho brought an injection of excitement to these clubs, yet both approached Sunday's clash needing to kick-start their Premier League campaign. Zlatan Ibrahimovic's first-half lobbed effort looked set to have given United the victory, only for Marouane Fellaini's calamitous challenge to gift former club Everton a penalty that Baines slotted home to secure a 1-1 draw. It was a third straight draw in the league for Mourinho's men, leaving them 13 points off the lead and nine points off a top-four berth. Everton may have only won once in nine league matches but there was an air of relief around Goodison Park at the final whistle. Marcos Rojo had somehow avoided an early red card for a two-footed lunge and Ibrahimovic put United ahead before the break, with his lob going in via the crossbar and post. The veteran Swede may face retrospective action should he be deemed to have purposely caught Seamus Coleman's head with his boot, but the main concern for Mourinho right now is another winless match. David de Gea's late heroics were undone by substitute Fellaini taking down Idrissa Gana Gueye, with Baines slotting home the leveller.